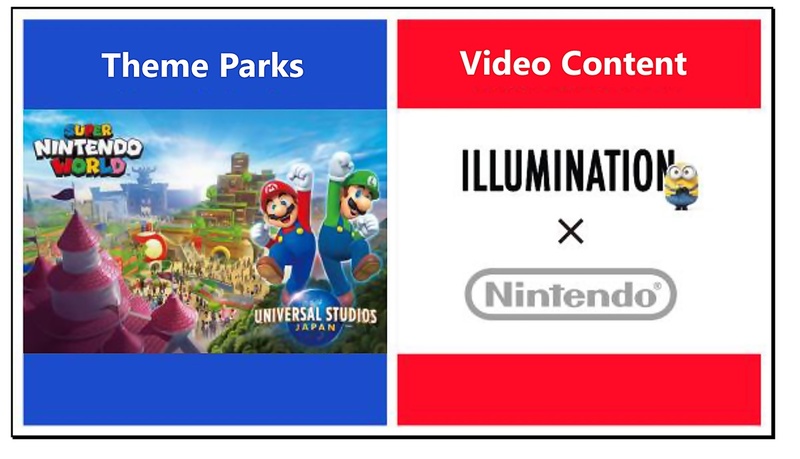 During the Nintendo Financial Briefing held over Jan 31st and Feb 1st, Nintendo spoke about their other IP ventures including theme parks and film. The Construction for Super Nintendo World is well underway at Universal Studios Japan. The Theme park is still scheduled to open in time for the 2020 Tokyo Olympics. The development of the Super Mario Bros. Animated Movie with Illumination (Minions, A Pet’s Life, Despicable Me) is also moving along well. It is anticipated that the Super Mario Bros. animated Movie will release sometime around 2022. Theme park development with Universal Parks & Resorts is underway. Construction on the “Super Nintendo World” area at Universal Studios Japan is to open in time for the 2020 Tokyo Olympics. In addition, the development of animated film based on “Super Mario Bros.” with Illumination is moving along for an anticipated theatrical release around 2022.